Here at CCAR, we help automotive professionals enhance their overall business and assist them to remain Safe. Clean. Green. CCAR is the only automotive-oriented organization with an Occupational Safety and Health Administration (OSHA) alliance; we are very proud of the wide variety of resources we provide. CCAR offers Safety training as well as HazMat training in a convenient, easy-to-use, online environment. For less than $1 per day, or $299 for an entire year, your training subscription covers your entire staff, no matter how large your shop size. Through our automotive industry websites, call center and online automotive safety training, we are focused on providing you with consistent and high-quality best practice information. Let us help you avoid fines, stay in compliance and remain Safe. Clean. Green. If you need help, do not hesitate to contact us by email or by phone at 888-476-5465. We are here to help you. 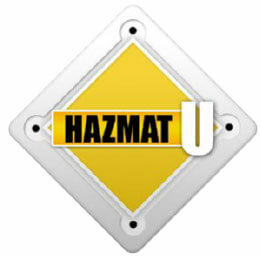 Purchase Safety training and/or HazmatU training today, it’s fast and easy! Part of the U.S. Department of Labor, OSHA exists to protect private sector employers and their workers, as well as some public sector employers and workers. CCAR has partnered with OSHA to keep you safe, healthy and in compliance. Click here for more OSHA information specific to the autobody repair and finishing industry. Protecting the environment is everyone’s responsibility and starts with understanding the issues. Our partnership with the EPA allows us to provide you with the information you need to succeed in the automotive industry. Click here to view a video produced by the EPA relating to key requirements for the National Emissions Standards for Hazardous Air Pollutants (NESHAP). Information regarding the Clean Air Act (CAA) requirements is available by clicking here. The U.S. Department of Transportation has strict requirements for those working with hazardous materials. We want to make sure you’re safe, healthy and in compliance with these regulations. The U.S. Department of Transportation (DOT) requires special training for the shipment of hazardous materials (such as air bags, seat belt pretensioners, and batteries). 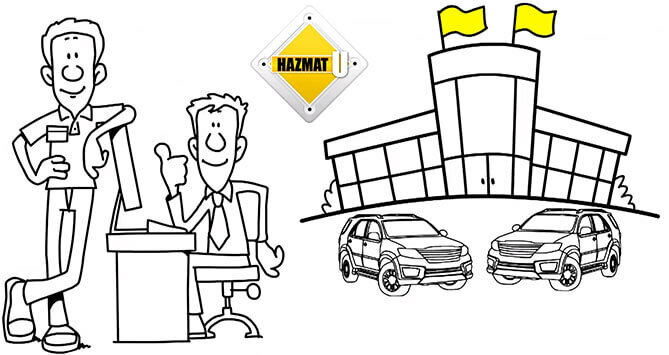 These requirements make CCAR ShipMate HazmatU critically important to your dealership. Fortunately, for less than $1 per day you can now ensure your employees remain Safe .. Clean .. and GREEN. As a dealer, you may be aware of The North American Automotive Hazmat Action Committee or NAAHAC. This is a group of regulatory compliance specialists representing the major automotive manufacturers in North America. Their primary focus is to review pending and current Hazmat Transportation regulations and develop concise, informed responses for submission to the appropriate regulatory agencies. Did you know that in 2005, NAAHAC unanimously chose CCAR and ShipMate, Inc. to be the providers of a new Internet-based training program for automotive dealers, and that for less than $1 a day you can make sure your entire dealership has that training? That’s right, your entire dealership. Not just one service technician, or just your parts or service manager. For only $299 per year the whole dealership will be covered under one CCAR ShipMate HazmatU training subscription, giving you the very latest Hazmat training modules, online, anywhere you have Internet access. ShipMate, Inc. works with clients to help resolve their most demanding dangerous goods transportation, environmental management and safety issues, and the newly updated CCAR ShipMate web-based Hazmat training program — HazmatU — can be taken on a computer, a tablet, or even on a smartphone. Subscriptions are offered on a per-dealership basis, regardless of size, so if you employ 10 people, or more than 100, the cost is still only $299 per year to train your entire dealership. In fact, over 2 million people a year are now completing CCAR learning modules, conveniently online. If you need help, do not hesitate to contact us by email. We are here to help you. For more information, call CCAR at (888) 476-5465 and one of our friendly staff will help get your dealership started on the path to staying SAFE, CLEAN and GREEN. Collision repair shops all across America and the world understand that CCAR-GreenLink Safety training is critically important to the success of their business today, but many still may not realize that for less than $1 per day, an entire shop can become Safe .. Clean .. and GREEN. OSHA and the EPA each require that a collision repair employee be trained in Safety best practices before working in a body shop and then annually thereafter. Now for less than the average cost of just one cited violation shop owners and managers can make sure their entire staff has that training. That’s right — your entire staff. Not just one tech, or painter, or even yourself. For only $299 per year your entire staff is covered under one CCAR training subscription, giving them the very latest OSHA and EPA safety and pollution prevention training modules, online, anywhere they have Internet access. Since 1995 CCAR-GreenLink has been offering Safe, Clean and Green resources and training modules to collision and mechanical repair shops, technical schools, and even at the OEM level. We are a recognized 501(c)(3) not-for-profit organization, and CCAR is also the only automotive training organization that has alliances with both OSHA and the EPA. Our completely web-based Safety & Pollution Prevention training program can either be taken on a computer, a tablet, or even on a smartphone. Safety training subscriptions are offered on a per-facility basis, regardless of shop size, so if you employ 10 people, or more than 100, the cost is still only $299 per year to train your entire staff. In fact, over 2 million people a year are now completing their Safety training online. For more information, just call CCAR at 1-888-476-5465 and one of our friendly staff will help you get your shop started on the path to staying SAFE, CLEAN and GREEN.